Located in one of Sydney's most coveted locations - inner city Potts Point, known for its restaurants, bars, cafes and proximity to the city centre. 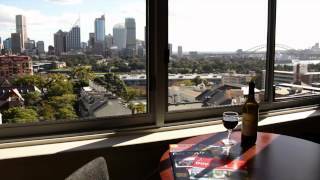 The Macleay Hotel offers studio apartments which have been beautifully designed with the traveller in mind, many with some of the most fabulous views of the Sydney Opera House/Harbour Bridge and Sydney Harbour. The views and location are million-dollar but the rates are very affordable.